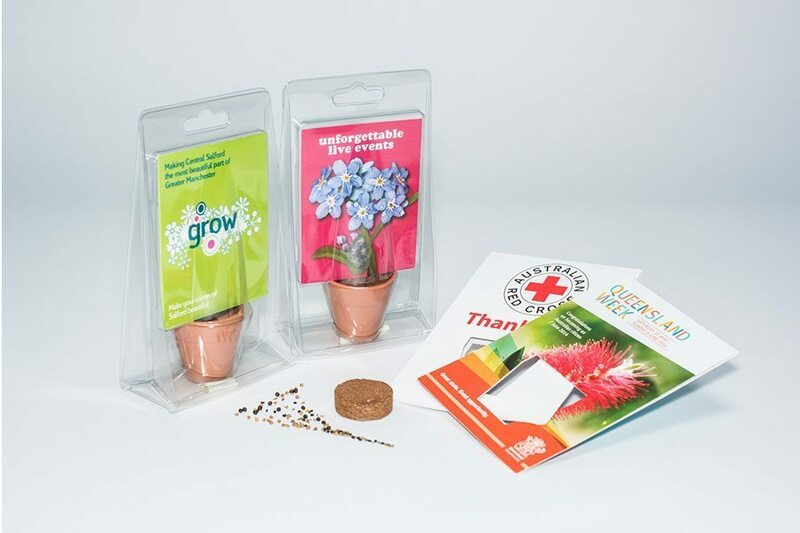 Our Seed Kits are an eco-friendly promotional product – produced for a low cost but they have a high perceived value and longevity with customers. 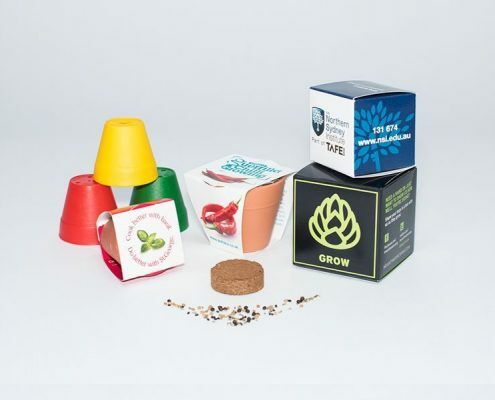 Each Seed Kit has been specially designed to give you the necessary tools to grow your own seed. 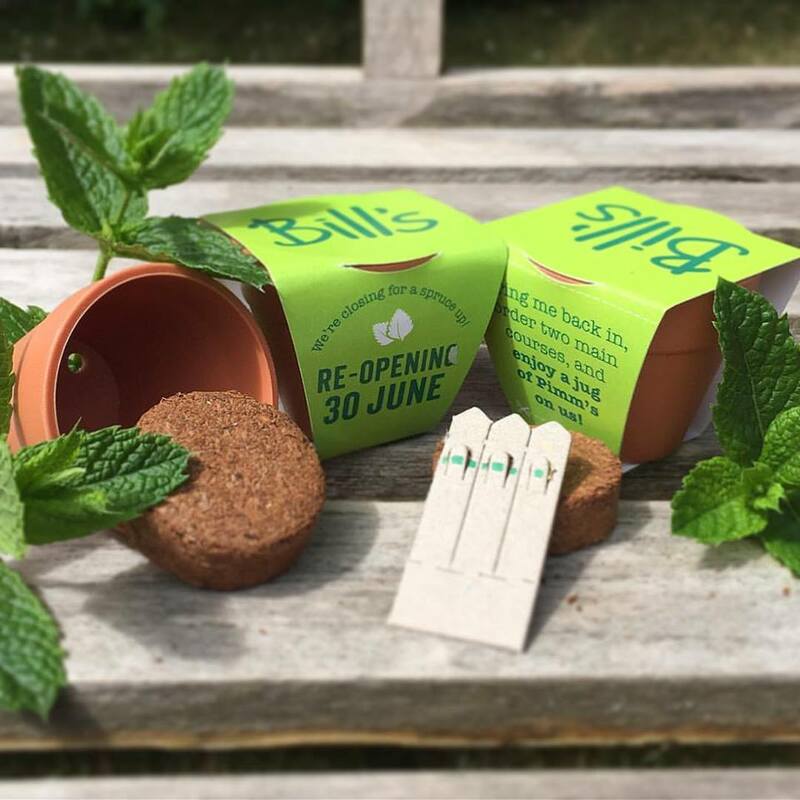 On average, it will take seeds two weeks to germinate and your business branding will be continually exposed to the customer during the growing process. Choose from a card insert, wrap around or boxed packaging made from 100% recycled materials – customise with your business logo and marketing messages. 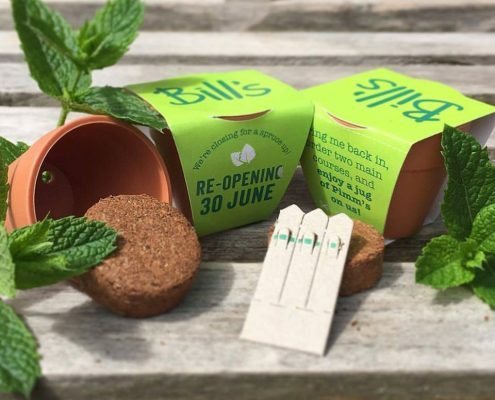 Each Seed Kit includes our coir pellets that are peat free, making them better for the environment and your plants (plus they’re easier to use!). All you need to do is add water and watch them swell to make the ideal growing medium. We also offer a wide variety of seeds including flowers, herbs, fruits, vegetable and trees. 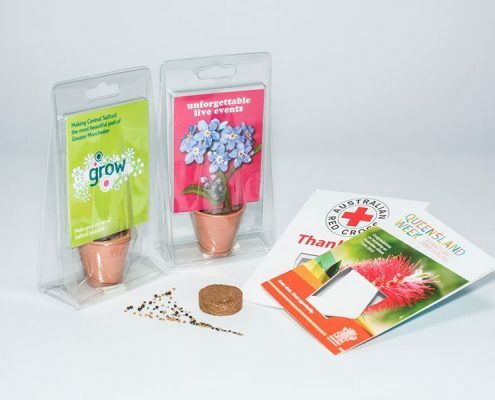 Each grow pack contains seeds, peat free coir pellet, pot and card insert. 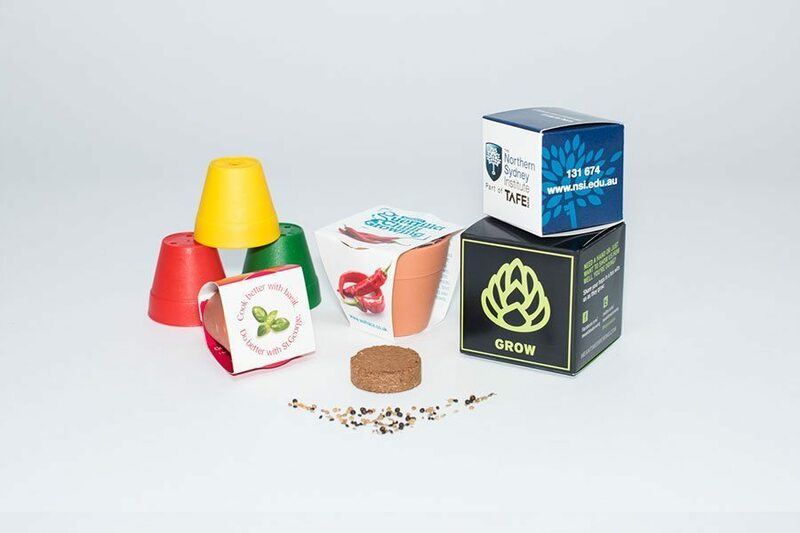 The pot and insert comes with full colour print on 100% recycled material.